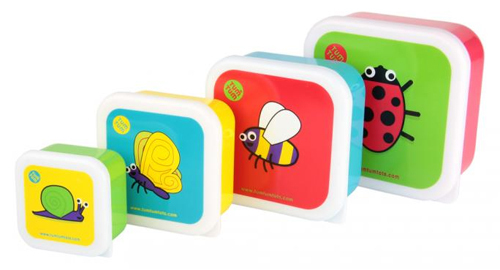 How cute are these little TumTum Snack Pots from VUPbaby, each with a little bug on the lid? They’re made from BPA-free plastic, are dishwasher safe and fit one inside the other for easy storage. Cute for inside lunch boxes or for storing after school snacks. Or… you can do what I just did and give them to your 2-year-old and ask her to stack and sort them. Mine sat there for nearly 20 minutes completely entertained!